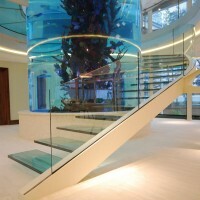 Diapo, a London-based staircase fabricator, have sent us some images of a cantilevered glass helical staircase they designed and built around a large aquarium earlier this year. 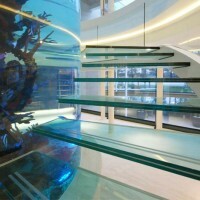 The stair is fabricated from a single steel helical stringer with cantilevering glass treads and glass balustrade to stairs and landing. 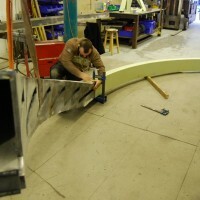 – The stringer will be connected to the floor structure using a steel base plate and supported off steel CHS columns (columns by others) at 3 other locations with fabricated brackets. 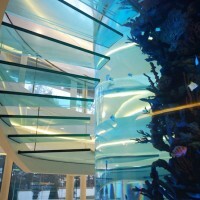 – The stringer will be a customised steel parallel flange channel (PFC) running around the outer edge of the stair with a plate infill welded into the open side and ‘post-box’ cut-outs to enable the glass treads to cantilever from the stringer towards the aquarium in the centre. 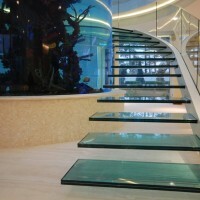 – The glass treads are to be wedge shaped heat soaked toughened laminated glass 40mm thick with structural sentry interlayer. 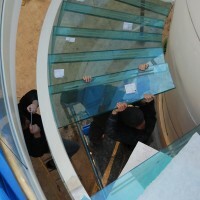 – The glass treads will be inserted through the stringer from the outside edge of the stair and held in place using high modulus silicon and nylon packers. 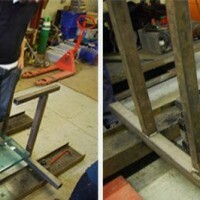 – The landing glass will be supported off the PFC stringer in a similar manner to the treads. 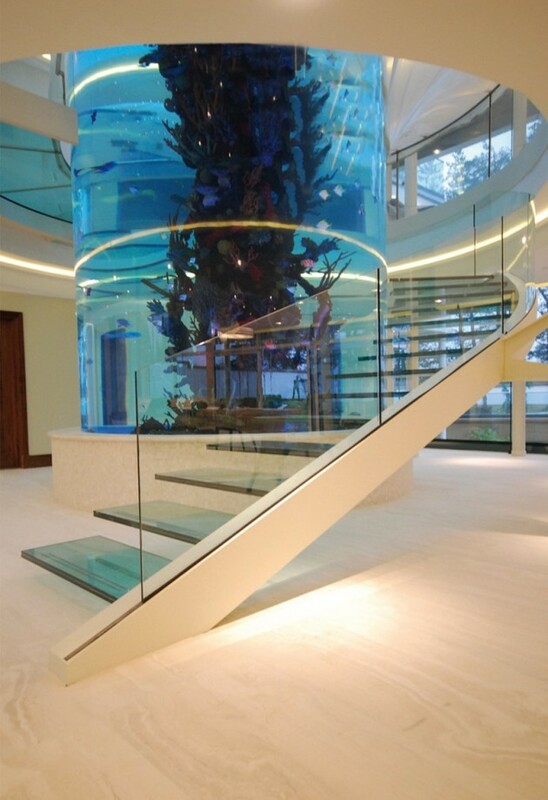 – The glass balustrade is to be heat soaked toughened laminated glass 15mm thick clamped between the stringer and a fascia plate. 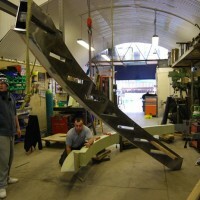 – The design loads will be taken as 1.5kN/m2 floor load for a residential building and 0.36kN/m run balustrade loading taken in accordance with BS6399:pt 1. 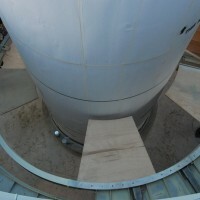 – The target frequency of the stair will be 7Hz with 25% live load taken as participant mass. 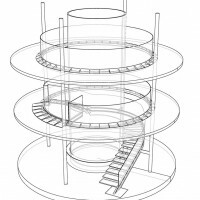 – This means that the stair will exhibit mild perceptible vibrations when trafficked energetically, which is normal for a stair of this type. 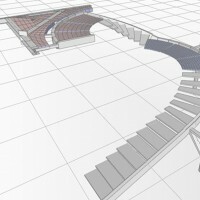 – It is assumed that the supporting structure has been designed with adequate stiffness and strength to support the proposed stair. 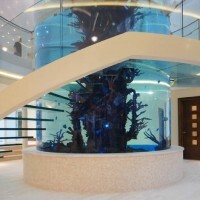 Visit the Diapo website – here.